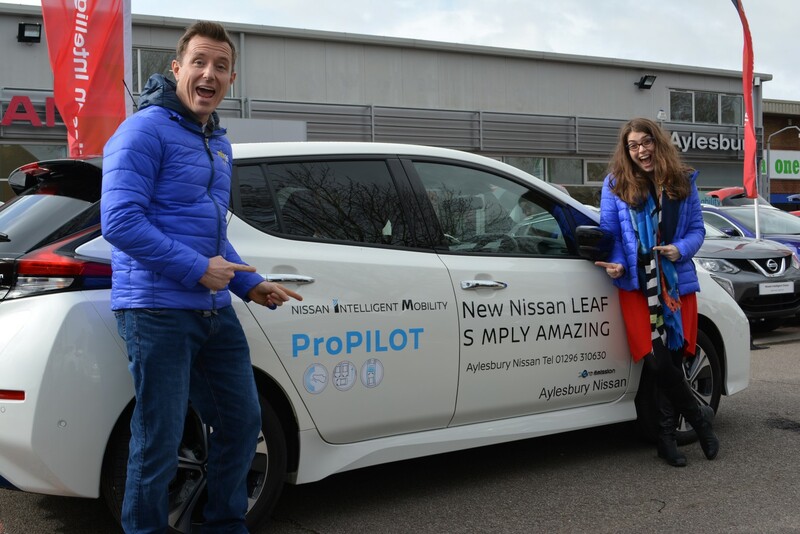 Ben Moseby and Nia Visser are driving from Aylesbury to its twin-town of Bourg-en-Bresse in a Nissan Leaf – a round trip of 1200 miles. Whilst there, they’ll be the focus of an official reception by the town’s Mayor and will go on-air with Radio Scoop – the local commercial radio for Bourg-en-Bresse. As well as celebrating Green Month, Mix96 is also celebrating it’s 25th birthday this year. MD Max Hailey says: “It’s amazing to be at the heart of our community and now we’re extending our reach by going to our twin-town. Mix96 is part of the UKRD Group and is now owned by Bauer Media. But how long will they be at the heart (maybe an unfortunate use of phrase) of their community following the Bauer takeover?. Bauer have not nationalised any of their breakfast shows. They tend to keep these programs. Don’t Panic Adrian. Many of these licences they’ve bought up recently will be so they can merge and re-launch them as either Hits Radio or Greatest Hits Radio. Why do you think they bought up all these licences? Just because it hasn’t happened doesn’t mean it won’t. And just because past stations they bought haven’t been re-branded still doesn’t mean it won’t happen. Many of these ‘heritage’ stations are networked in all but name. Radio City, Metro Radio, Hallam FM et. all make references to being part of the ‘Hits Radio’ network. Usually the first signs of networked re-branding. Just look what they did in the Midlands recently. Mix are getting some of the highest listening numbers in thier history, Living in the area they work hard with the resources they have to be totally locally focused Their staff work very very hard at being seen and visible. I’m guessing that it’ll take the best part of a month given that a Nissan Leaf can’t do much more than 70 miles on a single charge. So they are promoting Green Month by making a totally unnecessary journey?